AARP Legislative Counsel & Legislative Policy Director David Certner discusses the importance of Social Security. AARP Connecticut State Director Nora Duncan explains the organization's commitment to protecting Social Security. 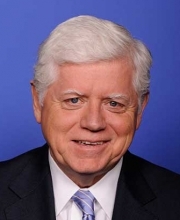 Congressman John Larson discusses the high cost of prescription drugs. AARP Connecticut hosted this Access Live event featuring Congressman John Larson, AARP Legislative Counsel & Legislative Policy Director David Certner, and State Director Nora Duncan. The experts discussed federal and state issues such as Social Security, the high cost of prescription drugs, and the workforce. Specific topics addressed include the congressman’s proposed House Bill Social Security 2100 which cuts taxes, strengthens benefits, and ensures Social Security through the century.